Well since it has been over a year since my last post I guess I should do something! The last year has brought us many blessings. We are still loving the new house. All three kids are in school and I find myself busier than ever! The past few months have brought about a few changes for me personally. I joined a biggest laser club with a few friends about 10 weeks ago. To date I have lost almost 20 pounds! It has been really hard to give up caffeine and all my favorite foods. I find myself having to make the choice every time I open the fridge or cupboard to say- I don't need a cookie, eat an orange. It's hard! But it has been worth it! I am really close to my goal for January. And hope to make it to my final goal by the end of march/ mid April. It would give me a total of 50 lbs lost! Wish me luck! Chad has been very supportive and tries really hard to not crave sweets because I can't have them in the house! for Christmas chad and I gave the kids the est present ever according to them! A new addition to our family! Her name is Leia. She is about 2 and is the sweetest thing ever! Her picture is posted. The kids love playing with her and following her around the house. We go on walks daily and she really keeps me moving! No rest for the lazy! Ok my iPad won't let me post a pic so I will try to remember to do that tomorrow! I just realized that I never took the pictures from Halloween off of the camera. OOPS! I think I may be just a little behind in a few departments!! Oh, well, better late than never! We loved having Grandma Sandy and Grandpa John come and join us. 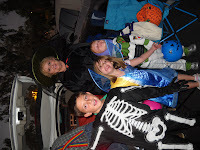 It was even more fun going to Scottsdale to their Tri-ward Trunk or treat! Although we were a little sick of Chili and hot dogs by then! Sorry for the sideways photo! I couldn't figure out how to change it! I think I need a nap- no wait, I forgot, I have to go wrap presents! Pictures of the new house! I finally found the camera! I took a few pictures of the downstairs. then the challenge was to find the cord to upload pictures to the computer! It took me a while but I found it! 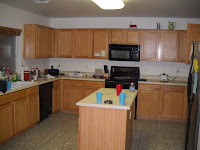 So here are some pic's of the house. Please ignore the mess in the kitchen! I was in the middle of making dinner!!! 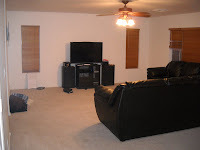 The 1st pic is of the living room/dining room. Right now it is the bookshelf and computer room! the 2nd is the pool. the 3rd is of the family room. 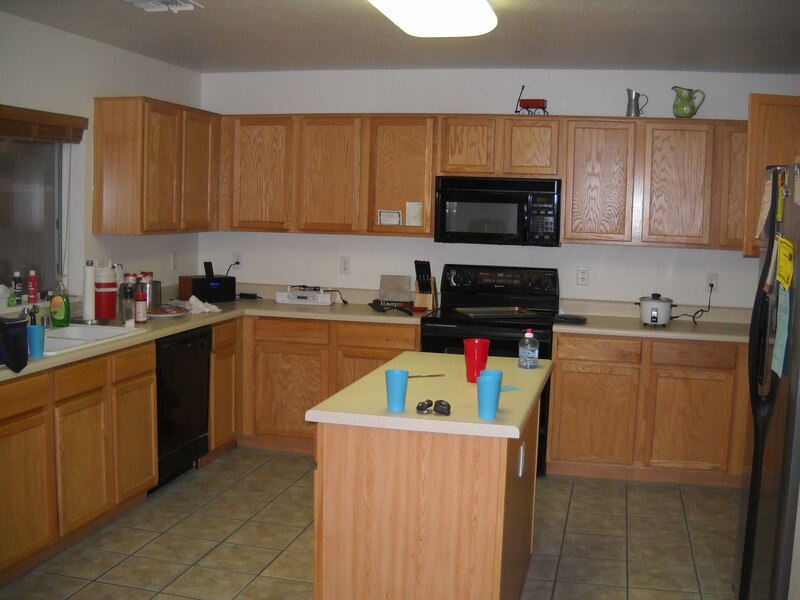 The 4th pic is of the kitchen(obviously!) I will take pics of the upstairs when I can and post them also. You are all welcome to come for a visit and see for yourselves!!!!!! I have to admit, I am proud of myself! I fixed 2 towel racks, changed out the other and fixed the toilet paper holders! Time to fold laundry, figure where to hang some pictures, and hang up my jewelry hooks! The Wier house is empty. I was over there last night cleaning it and getting all of the things we had left. Its amazing how time can change perception! 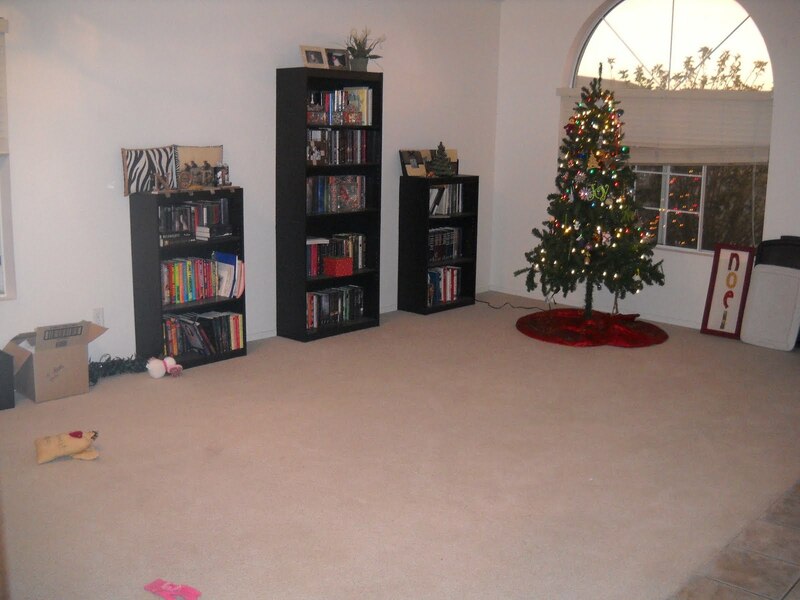 When we first moved into the house, it seemed so big! 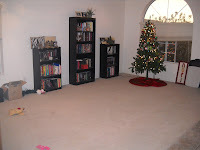 But after adding two more kids, space was all gone! My pantry was kept in each bedrooms closet and in the linen closet too! It was exercise just to make dinner every night! It was hilarious! But it was organized chaos at least! I could tell you where almost everything was! Yeah!!! We didn't move far, but we did! We are still in the same ward, just across Signal Butte, in another school boundary. The kids will start attending the new school fall of next year. I LOVE this house! There is room to BREATH! I can stand in the middle of any room and not hit a wall! 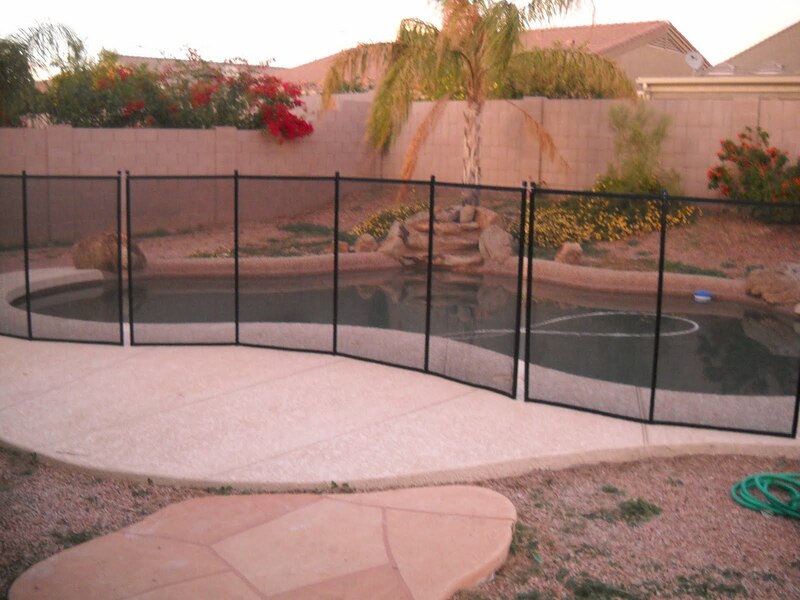 There is a pool in the backyard, with room for grass still! The grass will have to wait, right now, we just have dirt! The kids each have their own rooms and are loving it! There has been a lot less fighting, although having stairs is taking some getting used to! The kids love to "chase" each other on the stairs! No casualties yet, unless you count me tripping while running up them today! Don't worry, I wasn't hurt, I actually laughed at myself! For those who know her, my little sister Debbie had her twins Saturday. She came home Wednesday and they are all doing well. It was a C-Section because both of the girls were breach. I can completely understand her pain! They now have 5 girls! The oldest is 6! They are brave!!!! 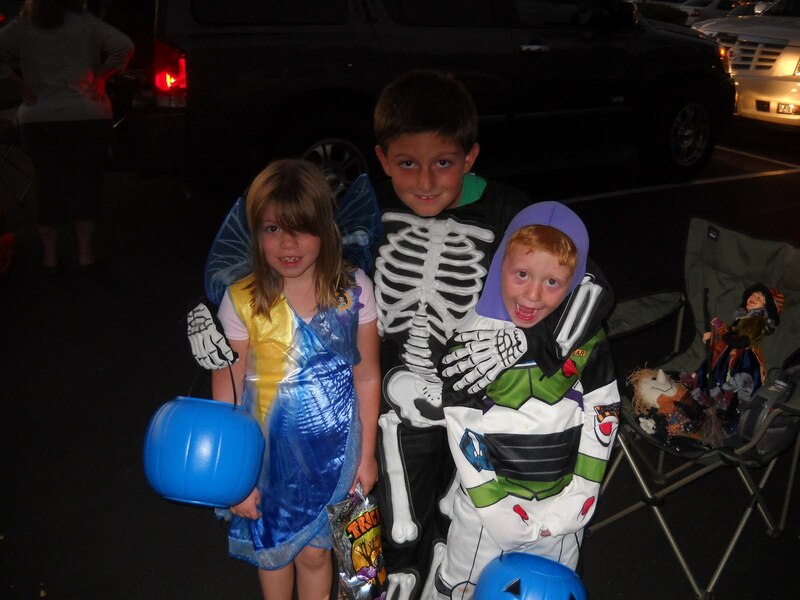 Well, I better go corral these kids- its getting to be my favorite time of day- BEDTIME!!!!! So I remembered a majoy event that I forgot to mention! In June Chad and I celebrated 11 years of marriage! It has been great! Maybe not all roses, but we have 3 wonderful kids to show for it and are very happy! Also, in August when we were in California for the reunion, we spent a great day at Disneyland with the kids. It was so much fun! Caleb only got misplaced once or twice. Never for very long! Everyone got along good for the most part. We were all very tired and hungry when we left! So on our way home, we found a McDonalds and had dinner in the car. Unfortunlately, we forgot our camera on this trip. May have been a good thing- the battery cage in cracked and pops open all the time- it is now help together with tape! But we did buy a disposable camera. I guess I should drop that off today(2 months later!) to get developed! I will have some pics soon I hope! Okay so someone pointed out to me a while ago that we had not updated our blog since Christmas. OOOPS!!! Well, here it is! A very quick update of the Jones Crew! January, February, March, April, all a complete blur of school and home and church and all the small things that you forget all the time! 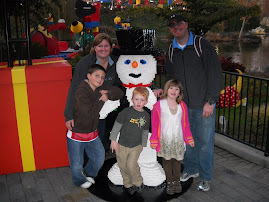 In March the kids and I took a trip with Melissa and her kids to LegoLand California. It was so much fun! We went to the beach and swam at Dad's house. Melissa was really impressed with the theater screen and now has one of her very own! May was great! 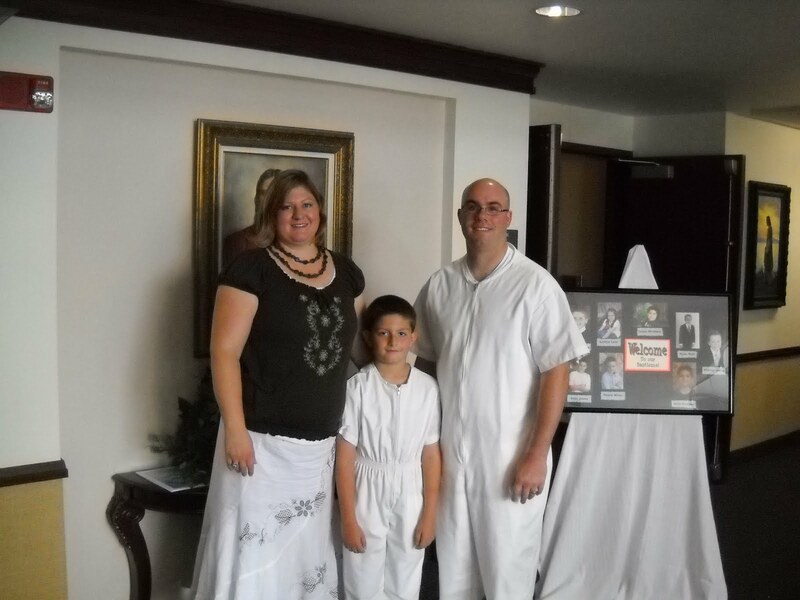 Tyler was baptized and confirmed by Chad with friends and family there. June was quiet-except for Tyler starting scouts, me being called to be a denleader for Tyler's den, And Tyler doing Katz. It was a busy two months! July brought heat! And it was hot! 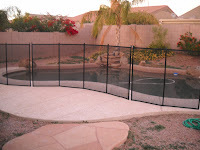 We spent a lot of time swimming at friends homes and trying to keep cool! It wasn't easy! Anna's majoy accomplishment this summer- she is finally swimming on her own! Between Chad and I and Anna's own perserverance, she can finally do it on her own! No more floaties or rings! Tyler learned to dive and Caleb is still working on the not sinking part of swimming. He will swim with his face in the water while holding his breath, but without floaties, he just sinks with a big grin on his face! August was the beginning of school! And a big Dow family reunion to boot! We pulled the kids from school for a few days and went to California. It was great! I had so much fun seeing family! It had been YEARS since I had seen most of them and it was great to catch up!!!! September brings us closer to caught up! Soccer started and I don't think I have ever been busier! 3 kids playing, practice 4 nights a week, games ALL morning-early afternoon on Saturdays. Chad is Tyler's coach this year. So we don't have a lot of spare time! Chad has been working a lot of overtime for Bank of America in underwriting. I am trying to keep up with laundry and cleaning. I am not doing daycare right now. I don't think it would be possible with the schedule we have! Caleb learned to write his name yesterday! He is doing preschool two days a week and is loving it! We are hoping that with enough training and the right kindergarten teacher, that he won't need to be put through testing for ADHD. Although it is a possibility. Tyler and Anna are both doing well in class and in soccer! Everyone seems to love it, but I don't know if I will be able to handle having 3 kids doing the same sport again! So, there you have it! Friends, Family, Faith and a lot of blessings! We love you all and hope to hear from all of you!!! Speaking of things forgotten! Chad ran in Ragnar again this year! It was great being there at the end to watch the team cross the finish line together! What a great group of people!!!! Happy as two peas in a pod!